Nowadays, white teeth and thick, shiny hair are priorities in our cosmetically driven world. 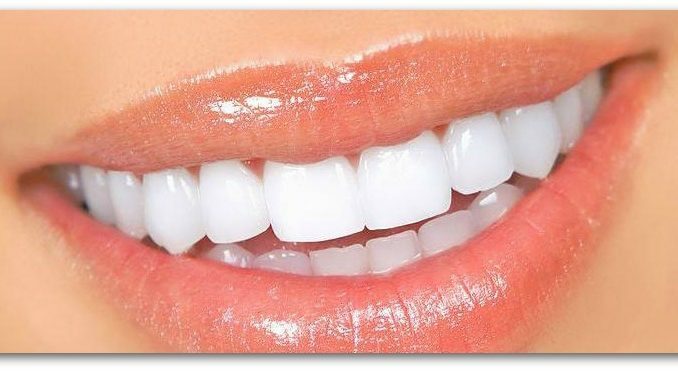 For teeth whitening products every year, Americans spend over 1.4 billion dollars. But after whitening procedures the side effect is that teeth become very sensitive. Good news is that to get the desired effect there are natural alternative. Baking soda, or also known as Sodium Bicarbonate is slightly abrasive. You can remove the surface stains and return the whiter shade of teeth with gently scrubbing. Baking soda will help you balance the Ph, since it is alkaline, if you eat a lot of acidic food. Lemon juice is natural bleach and its acidity is reduced by the baking soda. You can either use lemon juice, or only water. Mix the baking soda with fresh lemon juice (or water) and make a paste. Wipe your teeth with a paper towel. Let the paste sit for 1 minute and rinse afterwards. Leave the paste for up to 3 minutes if you are using water instead of lemon juice. Strawberries are rich in Vitamin C, which helps removing plaque that causes yellow teeth. Malic acid, an enzyme that helps removing surface stains too is contained in strawberries. Scrubbing and removing the stains the salt in the paste plays the role of an abrasive. Baking soda can be added if you prefer. Mash the berries and add a pinch of salt and ½ teaspoon of baking soda (if you like to use it). After you wipe your teeth with a paper towel, apply the mixture on teeth with a toothbrush. Leave the mixture for 5 minutes, then rinse. Do this every night. Maybe it sounds crazy, but a unique and old remedy that many people say is really effective is coconut oil rinse. Lauric acid in coconut oil removes bacteria from teeth. It also keeps the gums healthy and keeps your breath fresh. Scoop a tablespoon or a little less of coconut oil before you brush your teeth in the morning. For 10-15 minutes push and swish the oil through and around teeth then spit it out, rinse with water and brush teeth.